This card took a few revisions but here is the third in the series of five so far. The other are getting a few quick revisions. 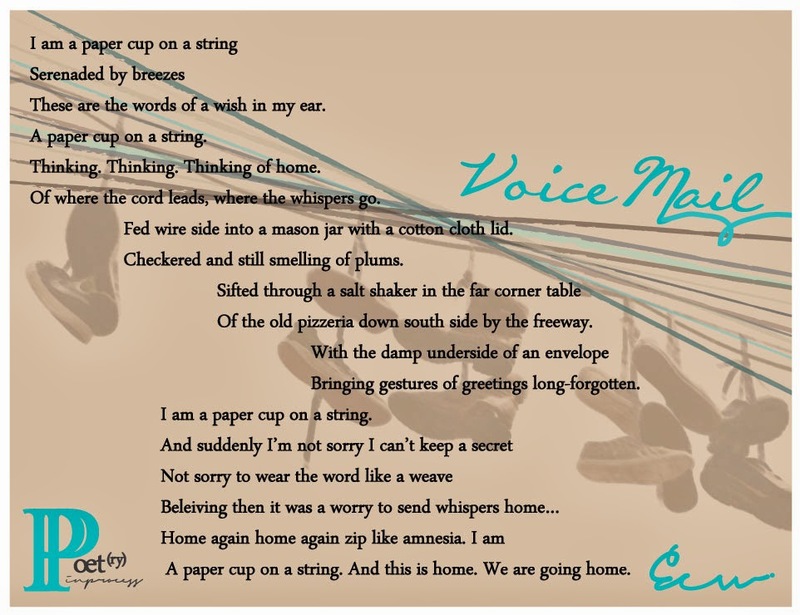 I love this poem because of the time I wrote it, but feel also the interplay between the iconic telephone wires and hanging shoes represents a nostalgia that we are all phoning back to… do you remember playing with paper cups on strings? 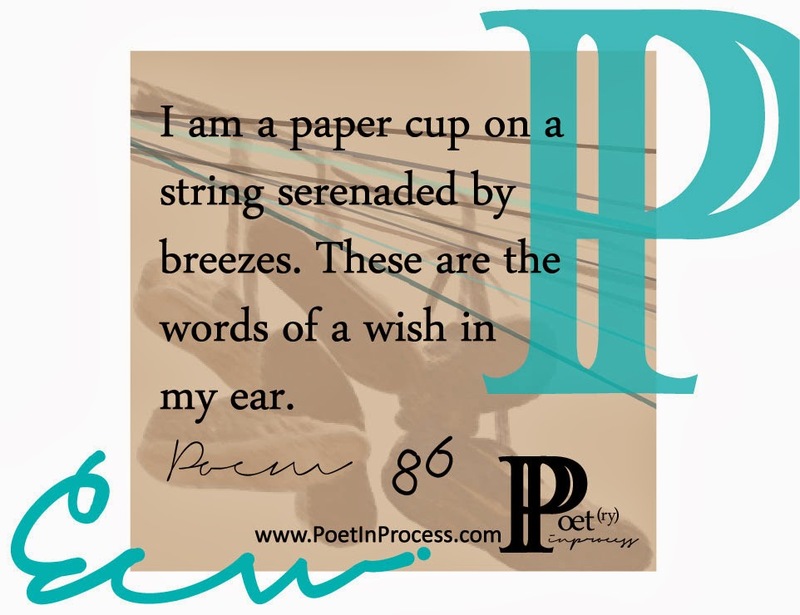 See Poem 86 in all its glory!